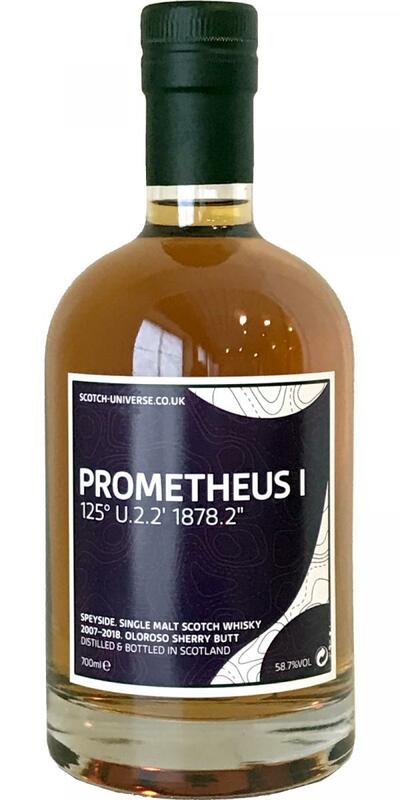 Scotch Universe Prometheus I - 125° U.2.2' 1878.2"
Whisky Reviews for Scotch Universe Prometheus I - 125° U.2.2' 1878.2"
the nose is promising a really nice sherry influence. all there - the dark fruits, dark chocolate, nuts, moldy wine cellar, just lovely. on the palate this sherry influence is too quickly gone, it is visible but not as expected. fades too quickly at the finish as well.